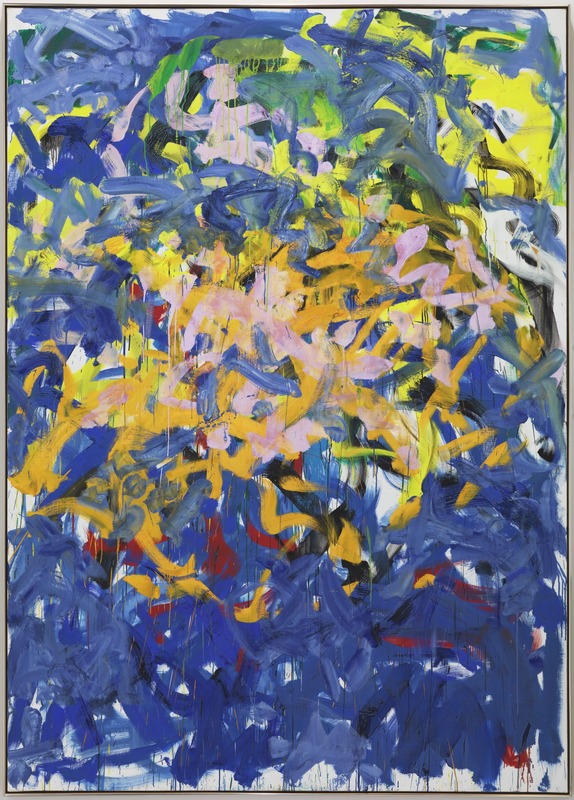 Joan Mitchell was physically starting to fall apart toward the end of her career. Before, Again II was painted at a particularly rough time. The prior year she had been diagnosed with cancer, which would eventually take her down. And in ‘85, the year she made this piece, she had been hospitalized for hip surgery. She was basically staring down her own mortality, paintbrush in hand. Getting old sux, but when you’re looking at a grim diagnosis you’ve got less to lose, so Mitchell took the last decade of her career as an opportunity to make some of her most experimental and vibrant work. Her Before, Again series references her effort to “stop time, or frame it” during her sickness and surgery. The work shows her characteristic affinity for color and vaguely evokes landscape, while remaining pleasantly squiggly. Mitchell thought of painting as a healing action. In her own mind, art’s polarity to death and decay must have taken on a powerful significance in her last years.